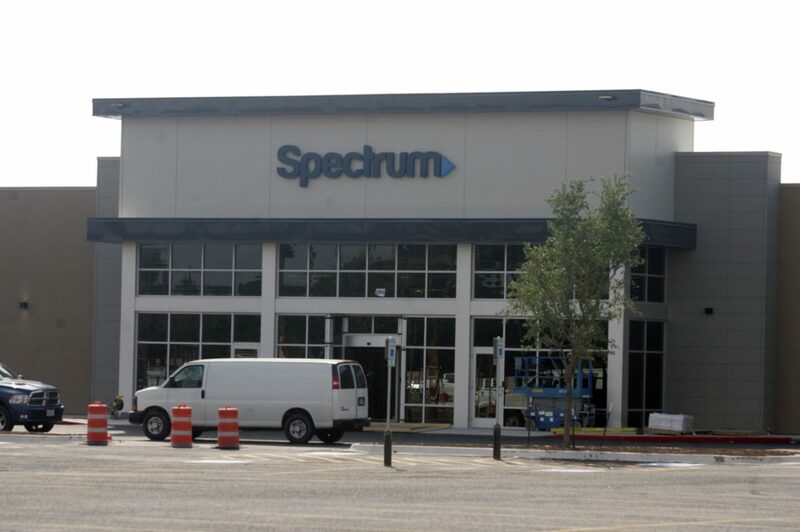 Spectrum call center, owned by Charter Communications, is located on North 23rd Street in McAllen. Beginning next week, Spectrum will be switching its cable TV service to an all-digital network in the Rio Grande Valley, according to a news release issued Thursday. Upgrading to all-digital will provide better picture quality and 65 additional high definition channels, the company stated. The change, however, will require customers to obtain a Spectrum digital receiver for each of their televisions. Depending on a customer’s programming package and other factors, they may qualify for one or more free receivers for one, two or five years. The upgrade is expected to begin Tuesday and continue for several weeks through early May. The company is notifying their customers in Rio Grande City, Pharr, Weslaco, Mission, Edinburg, Harlingen, Laguna Vista, Los Fresnos and Brownsville of their specific upgrade date, according to the release. The receivers needed can be shipped to their homes or can be obtained by visiting the company’s website at spectrum.com/DigitalNow, or by calling (844) 278-3408. Customers can also pick up the equipment at a nearby Spectrum store.